Sleeping With Sirens Release "Kick Me" Video. Sleeping With Sirens has released a video today for a brand new song, "Kick Me". Watch the video, directed by Sitcom Soldiers, now at YouTube: http://youtu.be/EnAdy_wvxMo. The video was filmed this summer at a surprise, intimate show for fans in London. “Kick Me” is the first single to be released from the band since their last record, Feel, which debuted at #3 on Billboard’s Top 200 chart. 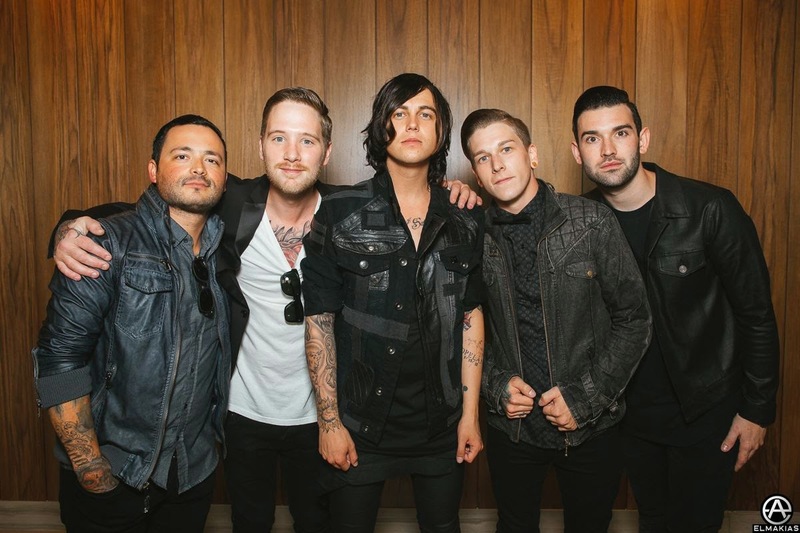 Sleeping With Sirens worked with producer John Feldmann (Panic! AT The Disco, Good Charlotte) on a new album – further details are to be announced. Catch Sleeping With Sirens on their co-headlining run called "The World Tour" with Pierce The Veil this November through March 2015. Sleeping With Sirens released their latest album, Feel, in 2013 which garnered a #3 debut on Billboard's Top 200 chart. Aside from playing to the biggest crowds each night on the main stage at Warped Tour for the past two years, Sleeping With Sirens has sold out numerous headlining tours worldwide. To date, the band has sold over 716,000 records and been featured on numerous print magazine covers worldwide, including Kerrang, Rock Sound, Alternative Press, and Blunt. The band was named Alternative Press' Artist of the Year in 2013. of the Year" and "Album of the Year".